The Frankowski Firm is a well-established presence in the industry, focused on helping investors who have been taken advantage of by unethical brokers or investment advisors. As seasoned Atlanta FINRA arbitration and trial lawyers, we advocate for investors, small and large, who have suffered financial losses through the negligent actions of investment companies and brokerage firms. We offer skillful, efficacious guidance for people who have seen the futures they planned for wiped out by neglectful or nefarious brokers, supervisors, and brokerage firms. How are investment securities claims handled? Many investors who have lost money do not realize they may have a legitimate legal claim. Securities litigation is an extremely convoluted area of the law, and detailed understanding of the nuances of the rules and statutes that regulate it is an absolute priority. Our lawyers have the legal, financial, and practical skills to champion investors’ rights. 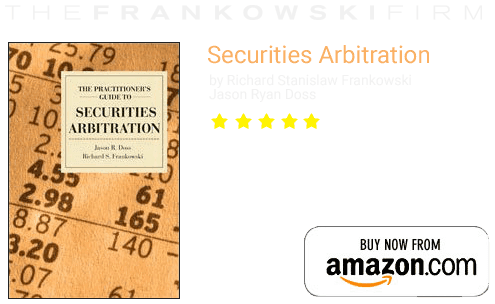 Most investment disputes are now contractually obligated to be address via arbitration through the Financial Industrial Regulatory Authority (FINRA). Our attorneys can shepherd you through the FINRA arbitration process. 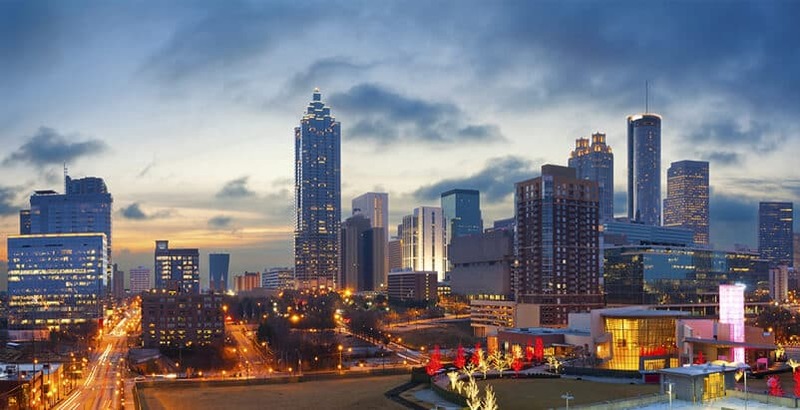 Understanding how to select arbitrators, discovering what kinds of cases can be heard, and exploring what evidence is admissible are all services our experienced Atlanta FINRA arbitration attorneys provide. An investor’s losing money is not enough to bring a FINRA claim. In addition to the loss, an investor must be able to demonstrate that the stockbroker or firm is liable, having acted against the expected code of conduct. Proving culpability is merely the first step of an investment case. The financial value of the loss must be assessed. Further damages, such as legal fees and punitive damages, may also be granted. Failure to diversify. Investment portfolios that rely too heavily on one types or area of investment are at undue risk of serious losses. Breach of fiduciary duty. 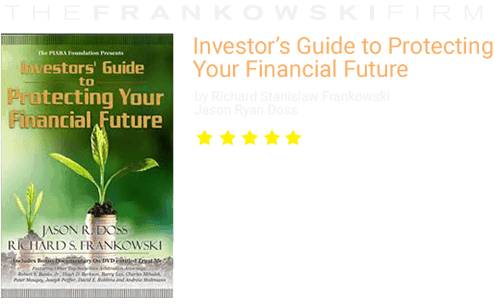 Financial advisors have specific rules and regulations to follow that govern how they interact with client investors. When those rules are violated, the investor may lose money and a legal claim may be appropriate to redress the loss. Churning. When stockbrokers engage in excessive buying and selling, not for any client benefit but merely to earn commissions, we hold them accountable. Selling away. Brokers may only sell authorized securities. If, however, brokers sell securities from outside their firm to avoid regulations, they must be held responsible, as well as the firms who have failed to properly oversee these brokers. Ponzi schemes. These fraudulent investment deals only earn money through recruitment, rather than any legitimate avenue. When our clients have fallen prey to these nefarious plots, we work to get justice for their losses. Suitability claims. Investor’s rights demand that only suitable investments for the needs and goals of the investors be proposed and enacted. Those brokers and investment firms that fail to follow the suitability guidelines, by suggesting high-risk stocks when lower-risk securities would match the investor’s prerequisites, can be sued for fraud. Failure to supervise. The fault for any of the above frauds does not lie solely with the egregious actions of the broker. Instead, the firm that has failed to adequately supervise the actions of the broker is also liable for any harm causes or fiscal losses. Risk is inherent in any investment; market fluctuations are a part of what makes securities profitable. Investment professionals assist investors by applying their experience and expertise to the client’s individual goals, desires, and capabilities. Investors place substantial trust in their brokers and the investment firms they work with. When that trust is violated, either intentionally for the broker’s gain or from a failure to meet best practices and standards, and a client loses money, the broker and firm may be held liable for negligence or fraud. Our Atlanta stockbroker fraud lawyers help investors like you seek redress through the courts or through arbitration. What types of investments are susceptible to fraud? Mutual funds. Mutual funds are a type of pooled investment that have many potential dangers that a circumspect broker should make clear to investors. Master limited partnerships (MLPs). The risks of these investments are numerous and the only incentive is the rare potential for high returns. Because of the untenably high risks involved, these are rarely suitable for unwitting investors. Non-traded real estate investment trusts (REITs). As illiquid, low regulation investments with high upfront fees, these are unstable and are frequently created through conflicts of interest that benefit the broker at the cost of the investor’s potential profit. Closed-end funds. Another investment option that is lucrative for the broker, but generally risky for the investor client. Unsuitable margin trading. When investors are low on liquid funds, they may make a joint investment with a bank or the brokerage firm that recommends the security. The bank or firm acts as a loan agent to the investor, complete with interest payments and is completely de-incentivized from prioritizing the investor’s successful endeavor. Penny stocks. These low-value stocks are not listed on national exchanges and are risky because their value is hard to determine; furthermore, they can be hard to sell and have less regulations than other investments. Every case is unique. At The Frankowski Firm, our lawyers thoughtfully consider every client’s situation and answer all of their concerns. We engage cooperatively with financial experts to ascertain the reasons why an investment failed to perform as expected, how the broker neglected his or her fiduciary obligations, and the financial damages stemming from the improper investment administration. Investing losses are not solely due to market forces. Instead, the negligent or fraudulent handling of the account by a broker or investment advisor led directly to the investment’s failure to deliver. The Atlanta broker fraud lawyers at The Frankowski Firm work assiduously for you, holding financial malefactors to account. To explore your case and receive answers to your questions, please call our Atlanta office at 888-741-7503 or complete our contact form.